Tour de Fox is the brainchild of ultra-athlete and MJFF staffer Sam Fox (no relation to Michael J Fox combining his athletic skills with his entrepreneurial spirit to raise funds for research and honour his mother, Lucy, who has lived with Parkinson’s disease since 2000. In summer 2015, Sam undertook a 14,000-mile odyssey across the United States and into Vancouver, Canada, biking thousands of miles and climbing 49 peaks. From scenic rides taken at a leisurely pace to physically demanding mountainous routes the Tour de Fox Series offers something for everyone, of all cycling abilities. Registration fee is US$50 per person and riders are also required to raise a minimum of US$200 by the day of the ride. You can register here. Each event will start at 12pm local time and will host a finish-line festival with live music, food trucks and kid-friendly activities. Non-cyclists are invited to join finish-line festivities and all are welcome to participate and connect with the local Parkinson’s community. 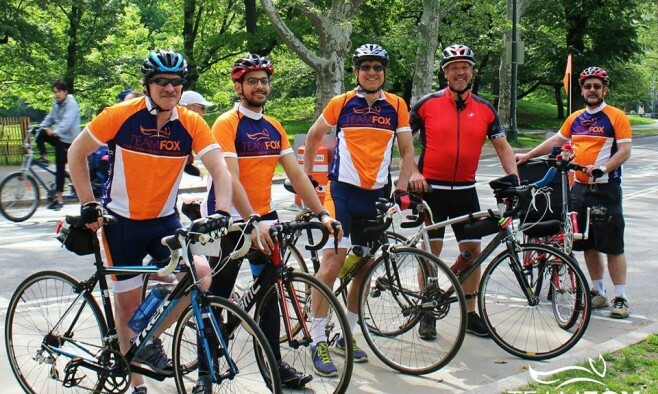 Donations to the Tour de Fox will be accepted through the end of 2016.